Baidu has started mass-producing its Level 4 autonomous mini-buses with the intention of deploying them not just in China, but also in other countries. Their first destination outside of China? Japan. The Chinese tech giant has teamed up with Softbank subsidiary SB Drive to launch a self-driving mini-bus service in Japan next year. They’re bringing 10 “Apolong” buses to Tokyo and other Japanese cities in early 2019 after the vehicles make their debut in select Chinese cities, including Beijing, Shenzhen, Pingtan and Wuhan. The 14-seater buses will initially pick up passengers in tourist areas, parks, industrial campuses, airports and other geo-fenced locations. Baidu has also announced during its annual AI developer conference that it has already manufactured 100 Apolong vehicles with help from Chinese bus manufacturer King Long. Apolong is powered by Baidu’s Apollo open source platform, which has Level 4 autonomous driving capabilities, meaning it doesn’t need human input in select conditions. 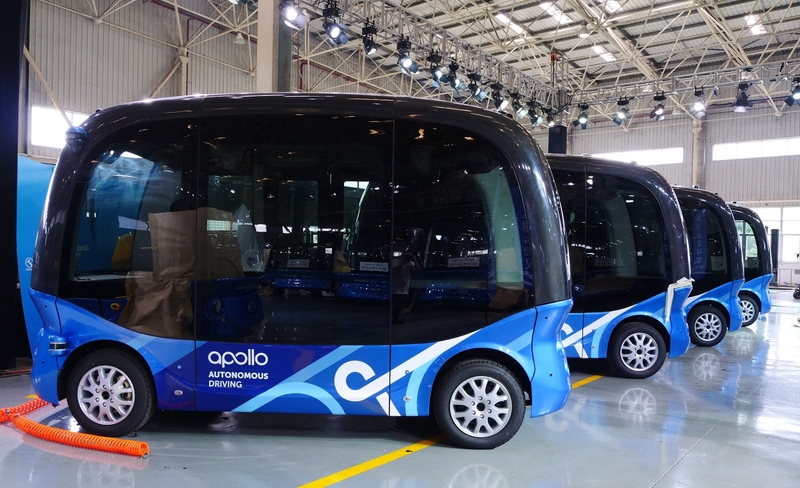 The latest version of Apollo also announced during the conference supports valet parking and integrates with Baidu’s software that has facial recognition capabilities and can detect if a driver is showing signs of fatigue. In addition to unveiling Apollo 3.0, Baidu has also revealed that it’s teaming up with Intel to use Mobileye’s technology. If you’ll recall, Intel purchased 84 percent of Mobileye’s shares for $15.3 billion, making the Israel-based company a subsidiary. Baidu will integrate Mobileye’s Responsibility Sensitive Safety model, which the company describes as “decision making that is based on common sense human-centered knowledge of what it means to drive safely and avoid accidents,” into Apollo. The Chinese tech giant will also use Mobileye’s Surround Computer Vision Kit as its preferred perception solution for its platform.